Deaf individuals throughout Pennsylvania now have access to SmartVP—a new, innovative videophone unveiled with a limited release in April by Purple Communications, Inc. SmartVP combines the latest in technology on an intuitive platform with a wide array of smart applications and features to provide deaf and hard-of-hearing individuals with clear and almost life-like video conversations through their televisions. Free to the end user, SmartVP allows the deaf to sign directly with each other or communicate with hearing people through Video Relay Service (VRS). VRS is an FCC-regulated service that connects American Sign Language (ASL) interpreters with users in real-time to facilitate communication between hearing and deaf individuals. SmartVP is the first to integrate apps, true HD video quality and many other accessibility features. It is built on the Android operating system and features a wide-angle HD camera capable of sending and receiving up to 720P from one SmartVP to another. 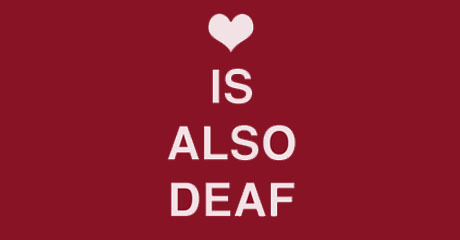 For deaf or hard-of-hearing Pennsylvania residents to apply for a free SmartVP, visit www.purple.us/SmartVP. SmartVP is different from the videophone technology that most people are familiar with – Skype™ or Facetime® – as it allows deaf individuals to talk with hearing people using their first language – ASL. Without this technology, deaf individuals could be completely isolated, unable to talk to their child’s teacher or even reach 911 in an emergency. SmartVP offers a user-friendly experience through a sleek, transparent interface that allows access to apps at any time, even during a call. Users have easy access to weather, specialized YouTube channels and an exclusive Yellow Pages® app. There’s also a full deaf movie library and users can find the closest show times for captioned movies through the Captionfish app. Yellow Pages: Look up local businesses and then save the phone number to the contact list or instantly call the number directly on the SmartVP. Single phone number: SmartVP and all Purple products use a single phone number, allowing users to be reached on the same number at home, at work or on-the-go. Other VRS providers require separate numbers for different products. Powerful remote control: With one touch, users can begin a phone call from anywhere in the room thanks to a powerful yet easy-to-use remote. Entertainment center and apps: Smartphones go beyond simply making a call by incorporating apps and entertainment. SmartVP uses the same concept with apps, such as Yellow Pages, a deaf video center, YouTube channels, local weather and the ability to search the latest playing captioned movies using Captionfish. Simplified contact lists: Contact lists are shared across multiple devices and with other SmartVP users and the contact information can be updated online – all firsts for VRS users. Users can save up to five numbers for one contact. Rather than arduously scrolling, users can use the predictive dialer feature or add friends and family they call the most to a favorite contacts list immediately shown when signed on. Plus, contacts can be pulled up while on the call. PurpleMail: SmartVP features PurpleMail™—a message system that allows users to record a personal outgoing message in ASL and receive messages from callers in ASL. Text chat: During the call, the ASL interpreter can type out important information, such as addresses or phone numbers, from the hearing caller which can then be sent to the user’s email. Similarly, the deaf party can type out information for the interpreter to relay to the hearing caller. To ensure privacy, the text chat is subsequently erased from the interpreter’s screen. Multiple users: Multiple users, such as spouses, roommates or family members, can easily switch back and forth between accounts without logging out. For privacy, a personal identification number (PIN) can be set to limit access. Voice carry over (VCO): Built-in speakers and microphones for voice carry over (VCO) allow a deaf individual who prefers to use his/her own voice when making a call to speak directly to the caller. Integrated notifications: Two 360 degree bright flashers and compatibility with Sonic Alert® ensure users never miss incoming calls, even when in another room. Purple Communications provides a high-quality video relay service (VRS) available from multiple platforms – TV, desktop, laptop, tablet and smartphone. VRS is a free service for deaf and hard-of-hearing customers who use sign language to communicate via video conference and a video interpreter (VI). The VI voices/relays the signed conversation in real-time to both deaf and hearing individuals. Purple‘s portfolio of solutions spans across telephone captioning services, text relay services, on-site interpreting services and video relay interpreting (VRI) delivering a wide array of options to meet the varied communication needs of businesses and customers, collectively make communicating with both the deaf world and the hearing world accessible to all. For more information, visit www.purple.us. Created by the Americans with Disabilities Act, Telecommunication Relay Service (TRS) is a telephone service that allows persons with hearing or speech disabilities to place and receive telephone calls. There are a variety of types of relay service including video (VRS), text and captioning services. TRS is available in all 50 states, the District of Columbia, Puerto Rico and the U.S. territories for local and/or long distance calls at no additional cost to the consumer. The Telecommunications Relay Services program is regulated by the Federal Communications Commission (FCC) and providers of such services are compensated for the costs of providing TRS from either a state or a federal fund. For more information related to TRS, visit www.fcc.gov/guides/telecommunications-relay-service-trs.